Thanks for the post, Hagop! I think I've figured out a workaround that will let me see and post comments -- so this is a test! One thing I like about your post, Hagop, is how you point out a way in which situationism, to the extent it is true, would increase rather than decrease our responsibility -- through recognition of the situational effects we exert on others. Milgram and Asch are perhaps flawed because of the way participants are recruited, it's plausible that people who volunteer for studies are more likely to be compliant to the situation. I keep meaning to look more at followups, but I haven't yet. The Princeton Seminary study, I haven't looked at it before. From second-hand descriptions, I suspect the effect is really "psychological urgency causes tunnel vision" rather than "ethics are situational". My feeling at the moment is "situational vs characterological" is a variant of "nature vs nurture", it's the wrong question to ask. Recent social psychology has shown that the factors governing human behavior are largely situational rather than characterological. I really like this argument, though, whatever the implications for virtue ethics. I think this is a very interesting point! Plato and Aristotle (and, e.g., Robert Adams) would certainly agree with you & would point to the role that educational and cultural institutions/practices play in shaping our behavior and character. (1) How would you think about the different sorts of ways we influence others? Do you have a typology of influences in mind? (2) Can we teach the relevant information about how we affect other's behavior and the skills one needs to control this influence for the good? Do you think we can produce a neutral "secular" account of these skills and influences - one on which we could expect a government to legitimately base education policies? Eric, good to see you found a workaround to post comments. I think you've stated one of my thoughts rather succinctly--that situationism (or, to my mind, the interconnectedness of behavior) should make us more mindful of our impact on others and thereby expand how we view our responsibilities to others. anon--I agree that some of the studies are questionable. I don't think it's right to lump together, for example, Milgram and the oft-cited dime-helping experiments of Isen and Levine, because they seem so very different in nature (the former being protracted, contrived, and involving much deliberation, and the latter being subtle, mundane, and outside conscious awareness). And I'm prone to think that the Stanford prison experiment (often cited in these discussions as well) just wasn't scientific at all. I'm sympathetic to your interpretation of the Princeton Seminary study, and I think others have expressed similar views. The 'ethics are situational' interpretation is more of a meta-level analysis pointing out that whether or not one can live up to one's values or ideals can often hinge on things like 'psychological urgency leading to tunnel vision', which seems situationally variable. I'm not entirely sure about your last statement. I will say, however, that I think the 'situation vs. person' heuristic has been misleading. We need more fine-grained analyses. brandon--Your comment has reminded me of the fact that there is great inter-personal variation on just what situational variables will impinge on a person's behavior, and to what extent. None of the experiments cited in this literature produce uniform results in the participant pool, and there is usually a sizable minority of persons who are not susceptible to the relevant manipulation. So I agree that 'largely' leaves room for interpretation. In the end, I think virtue ethics might remain viable in some suitably modified form. Minimally, if all the situationist debate does is bring further attention to the impact of situational variables on behavior, it should lead to better theories. Thanks for sharing these thoughts. I see your point about Plato and Aristotle, who thought that educational and cultural institutions can have great effects on a person's behavior and development. 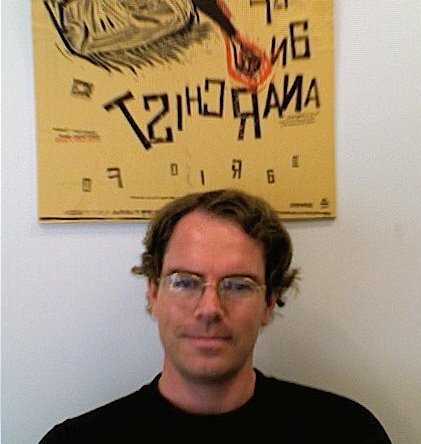 Eric Hutton wrote a piece on situationist strands in early Chinese thought that touch upon similar themes. 1) I think a rough typology might be possible, and looking at the experimental literature one can discern some patterns of influence. I think, at this point, I'm comfortable saying very general (and, I hope, plausible) things. For example, if you enter a situation in a terrible mood, you're likely to put others in a bad mood, and vice-versa. Explaining these effects requires no more than basic things like emotional contagion and unconscious mimicry. Moving beyond emotional contagion, I think we readily recognize that the presence of certain individuals can promote certain types of behavior in us. I do think, however, that we overlook *our* impact on others, because we rarely (if ever) observe ourselves as others observe us. Put differently, from the observer's perspective, it might be easy to see that when Jeremy shows up at the party everyone become uneasy, or when Jane is at a meeting people tend to be more agreeable. But the actor herself might be relatively blind to any similar effects she may have on others. a) my own interest is in more immediate effects, the kind of influence one can have almost immediately on how one's situations unfold, facilitated by being mindful of the variables one introduces to situations. If situationism is true, we are always affecting situations, though we might be doing so unreflectively. Can these skills be taught? I think that there may be certain reliable regularities in terms of how certain actions can engender certain reactions, and perhaps these can be taught to others. I suppose, however, that people will differ in their abilities to exert influence. For example, studies have shown that situational influence is highly keyed to one's overall expressiveness. If expressiveness (in terms of one's facial expressions and gestures) is highly variable, then we should expect a range of ability, from highly efficacious to highly inefficacious, depending on how expressive an individual is. b) if we broaden the scope and consider, for example, educational practices and institutions, then it seems to me that similar considerations can be brought to bear as well. However, if I'm reading your question correctly, you seem more concerned about 'content' issues here--i.e. can we agree upon which sorts of influence we wish to promote, in a way that doesn't favor or disfavor some particular conception of the good. Is that right? If so, I am definitely on the side of mild state perfectionism, where the state would promote certain goods among the populace. States already do so, of course (in terms of health, safety, and education, for example). Where we draw the line would be subject to considerable debate. But I'd want to emphasize that the choice is not between 'influencing' on the one hand and 'not influencing' on the other; influence is pervasive. The choice concerns how we go about influencing. I hope that goes some way toward answering your questions, which have given me much thought. But if they don't, well, I'm happy to expand. Virtue vs. situationism looks to be the same (pseudo)ambiguity as nature vs. nurture or genetic predisposition vs. environmental circumstance. Whenever we're talking about phenomena in nature, I think the answer is bound to be "both" whenever we're presented such a choice. Thermodynamics tells us to expect every degree of freedom to be exercised by energy that's free to spread through a system. The redness of tooth and claw of evolution tell us that any kind of advantage will be welcome. Behavior looks like a natural phenomenon from where I'm standing. Thanks for that thoughtful reply! I am very sympathetic to your responses - and I think you are right that we need to worry about influence even if we cannot agree which ones are good and bad. I bet it would be interesting to think about how our situational effect on others might modulate as a function of our perceived relation to them. Responsibility might also modulate in this way; perhaps our parents and friends, for example, should take more responsibility for their situational effects on us than others - both because they care about us (and our good) more, and because they can have a more pronounced impact on us, situationally speaking. And thanks for the pointed to the paper on Confucian ethics - I will have to check that out this summer. MT--I think you must be right that it's a combination of situation and character that explains behavior. I'm not sure anyone would deny that. The experimental literature was surprising in showing how much situational factors exert influence on our behavior. This came as a surprise, for it didn't sit well with either our ordinary lay explanations of behavior, or with the sorts of personality explanations then prominent in psychology departments. Brad--I agree. Responsibilities would be a function of relationship for at least a few of reasons: a) we normally interact with those closest to us to a greater extent, and therefore have greater de facto influence on them, b) we normally suppose we have greater obligations to those close to us than not, and c) we are better positioned (epistemically) to know or uncover such influences, and therefore to control them (at least relative to strangers). Does that sound right? I´m more in line with character based conceptions of responsibility and action, because what we do ultimately is rooted in our competence and our competence breaktrough diverse situations and not viceversa. Neverthless, i agree with Hagop that we need a more fine grained analysis distinghising much more than simplistic dichotomies like situation and character. But until we do not have a clear image of how the enviroment can exert an influence in cognitive processes from the more reductionist and interactionist levels of genes to cells, cells to neurons, neurons to systems in the brain, brain to behaviour, and behaviour to the perception of situations and changes made by behaviour in the situation, we can´t resolve problems about what consist the orgin of moral orientations and principles. I guess an analytical step beyond the basic observation that ethical behavior is not determined by a fixed predisposition would be to redefine or start being precise in the use of traditional words--like "virtue"--that imply or suggest or tend to constrain the discussion to the naive view of ethical behavior. I imagine the exercise would yield common wisdom and popular research topics in psychology and anthropology. I'll offer that while a person's "personality" isn't fixed even after childhood, it's clearly got some robustness with respect to changes of situation. Our friends are somewhat predictable to us. So for practical purposes some ethics (e.g. the ones we call "scruples") are non-situational, seemingly and at least for most people. I suppose it would be valuable to elaborate on and specify the "practical purposes," to investigate whether "at least for most" turns out to be "all," and so on.